The aesthetic concept of sublime, as Kant formulated from Burke, seems to overcome itself aesthetic, in that the Form stops fulfill major role in the experiment. It is then a transcendental and cognitive experience, in which the imagination in free play of faculties, builds a possible meaning and this activity reveals the dimension of human freedom. The philosophical reflection on the aesthetic experience permeates virtually all Western philosophy from Plato to new philosophical trends. In this long process, there were historical moments of intense reflection on the nature of that experience and moments of despair which was reached as to declare the impossibility of any logical and consistent statement on this subjective experience. Also the relationship between art and aesthetics have differences over this story. Sometimes the art was the privileged place, but unique and essential, aesthetics, sometimes played a secondary role and less on the definition and understanding of the aesthetic experience. Contemporaneously aesthetics was seriously questioned by the conceptual art as defining experience of concept art. The remoteness and even refusal of aesthetic possibilities opened by conceptual art in a poetic, serious and consistent, which is anchored in the epistemic values of art, conceptualizing it as a process and idea rather than objects or artifacts with formal properties. Today, contemporaneously, the philosophical study of the aesthetic experience reborn of its pervasive presence in everyday life. It is an aesthetic of everyday life, objects, information and design of consumer culture and identity of small social groups. Again, we are when art is no longer the privileged object of aesthetic reflection. In Kant, we have a two aesthetic to the Beautiful, which can be based on the everyday aesthetic studies, and the Sublime, in which appears an overcoming of aesthetics toward a metaphysical experience, in other words, whose meaning is beyond the senses and sensory experiences. 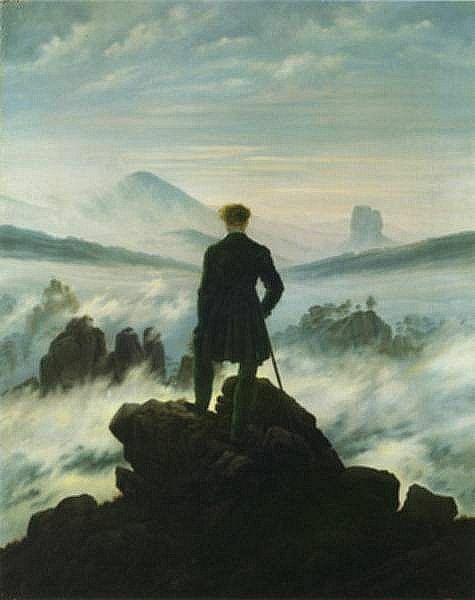 Kant was interested in the aesthetic concept of the sublime. Following its methodology and objectives, it was for him to legitimize this concept, that is, under what circumstances I can legitimately try Sublime. Kant distinguished two forms of sublime: (1) the mathematical, simply sublime, immense and located as experience in Beauty threshold when it looses its proportion and becomes infinite, without proportion, without form; (2) the dynamic sublime, informal, wild, terrifying. Both it and the other beyond man, being in the first instance by the imagination and in the second, physical integrity, revealing that man a spiritual dimension. Take for example the mathematical sublime, which results in a failure of imagination. To illustrate this failure, Kant evokes Savary, in his “Lettres d’Egypte,” explains the difficulty of contemplating the pyramids a fair distance. Descartes had already established that there is a correct distance from the subject to the object so that it can be known. Kant points out that feeling of powerlessness your imagination to present the whole. For the pyramids, this is only possible at a great distance from the object, whose consequence is the loss of perceived detail, the texture of the elements that make up these pyramids. Imagination reaches its maximum and the effort to overcome, chasm about herself, plunging a moving satisfaction. Suffering and satisfaction are the two indices of the Kantian sublime. However to legitimize the sublime, Kant analysis of a transcendental point of view. The source of suffering and satisfaction, the sublime is not only the experience that cannot be imagined that exceeds the capacity of the imagination, but also the experience that reveals the human condition. The experience of the sublime confronts us an infinite, something of the noumenon of the order, i.e., the intellectual conception of a thing as it is in itself, not as it is known through perception. This happens not because nature is appreciated afraid the sublime experience in our aesthetic judgment, but because it causes in us the strength that we are very, observing how small things that disturb us and affect, such as goods, health and life. The sublime is then is the relationship between what I see and what exceeds me, the relationship between sensible and intelligible, between aesthetics and philosophy. This transcendental experience inspires a kind of respect before this force that we are own and that Kant names it as freedom. Schiller under the influence of Kant defines summarizes the sublime experience. We named sublime to an object when we are faced with their representation and our physical nature feels its limits, while our rational nature feels their superiority, their independence all limits. Then it is a subject on which we are physically weaker, while morally rise above it the ability to produce ideas. Examples of aesthetic experience of the sublime: the infinite, which has no form, no diagrams, rough seas, starry skies, immense dimensions of objects, etc. The phenomenon of nature that can threaten us, tsunamis, storms, hurricanes, avalanches. In the latter case, the observer should feel like a safe place to observe the phenomenon. Are all objects and phenomenon that cause us fear and pleasure, that exceed the possibilities of our imagination. The Kantian sublime opens the possibilities for the art of the twentieth century goes beyond the aesthetic experience based on the shape and reach a rational, an idea that goes beyond the sensory dimension. 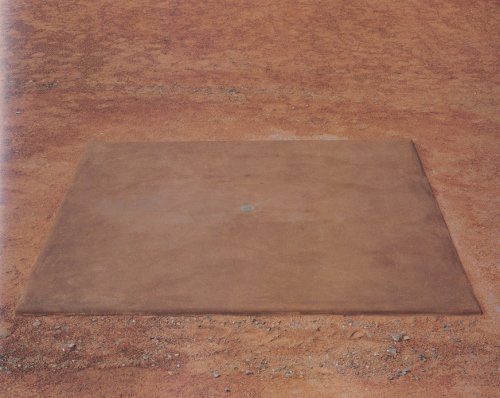 A notable example is the conceptual work of Walter de Maria “Vertical Earth Kilometer”. It is a public and permanent urban sculpture, but totally the opposite. We cannot see it; just imagine it from a small sensory index. It consists of a bronze stick five feet in diameter that is submerged in the ground, in the basement of Friedrichsplatz Park, opposite the Kunsthalle Fridericianum in the German city of Kassel. The work takes shape as an idea that excites our imagination to represent it. But we can never be sure that our imagination properly represents the object. We stayed in uncertainty. An experience that is a mixture of pleasure, the excited imagination, and frustration, uncertainty of mental representation. In other words, a sublime experience which points beyond the formal aesthetic. Burke, Edmund Burke (1729–1797). On the Sublime and Beautiful. The Harvard Classics. 1909–14. Kant; Guyer, P., (ed. ), 2000, Critique of the Power of Judgment, Cambridge: Cambridge University Press. Lyotard, Jean-François; Elizabeth Rottenberg (Translator), 1994. Lessons on the Analytic of the Sublime: Kant’s Critique of Judgment. Meridian. Stanford University Press. February. Schiller, Friedrich, 1967. On the Aesthetic Education of Man in a Series of Letters, edited and trans. by Elizabeth M. Wikinson and L. A. Willoughby. Oxford: Oxford University Press.